Health Costs > How Much Does a Lymph Node Biopsy Cost? How Much Does a Lymph Node Biopsy Cost? A lymph node biopsy is a procedure that removes and examines the lymph node tissue for any sign of infection or a disease such as cancer. How much does it cost to get a lymph node biopsy? The cost of a lymph node biopsy, without surgery, can cost anywhere from as little as $100 for a fine needle aspiration to more than $4,000 for an excisional biopsy without insurance. These costs can be much higher if surgery were required and/or additional tests were required, which we explain in detail below. Depending on how the biopsy is performed, you may receive a bill from the physician’s office, the general surgeon, pathologist if the tissue were sent in for analysis and/or a radiologist. Medscape.com says the cost of a fine needle aspiration can cost $75 to $350, depending on the study source and whether or not the pathology fees are included. In contrast, an excisional biopsy can cost $1,200 to $2,500 or even more if a hospital stay were required. According to this NCBI report, the average patient charges for a sentinel lymph node biopsy ranged from $10,096 to $15,223, compared with $1,000 to $1,740 for a wide excision as an outpatient procedure. Dr. David, a pathologist based in New York, answered this question on JustAnswer.com. He said a lymph node biopsy will cost no more than $1,000 if you don’t have insurance or much more if they had to perform surgery to cut out the lymph node. A lymph node biopsy can be performed in either a hospital setting or an outpatient surgical center. A majority of the time, however, it will be done in an outpatient center, meaning you won’t have to stay overnight. There are three types of lymph node biopsy: a sentinel lymph node, needle biopsy, and open biopsy. The sentinel lymph node biopsy involves injecting a radioactive tracer or a blue dye at the tumor site to determine where the cancer, if present, has spread. 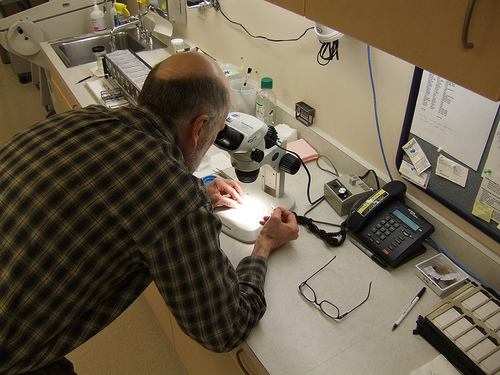 During a needle biopsy procedure, a needle is inserted into a lymph node and collects a small cell sample. This sample is then sent off to a lab offsite. An open biopsy procedure involves creating a surgical cut, removing a portion of the lymph node, and suturing the incision closed. Once the lymph node is removed, it will be biopsied and tested. The results can take an average of five to seven days to be sent to your doctor. Oftentimes, a doctor will use a local anesthesia and will start with a fine needle, and will only consider an open excision if they are unable to determine the diagnosis with the fine needle aspiration. Most of the time, patients can go home the same day of the surgery. Aside from the biopsy, your doctor may want to run other tests such as a culture, genetic test and/or immunological test to check the lymph tissue sample. All of these tests, when combined, can cost an additional $1,000+ without health insurance. With most biopsies, the doctor may request that the patient comes in for a follow-up visit, which in turn, can lead to additional office examination fees. This visit is important so that the patient and doctor can discuss the results of the test and whether or not any further treatment is necessary. If cancer is found and needs to be treated, the costs can be in the tens, if not hundreds of thousands of dollars. Surgery alone can cost an additional $5,000+. If cancer has been detected on a lymph node that has been fully removed, this does not mean that the patient is cancer free. There will still need to be many tests run to see what caused the cancer and whether or not it has spread to any other areas of the body. The risks involved may include bleeding, infection at the biopsy site, and/or a nerve injury, which most often occurs when the biopsy is conducted on a lymph node located close to the nerves. Some medical professionals recommend a needle biopsy should be conducted on women being tested for cancer instead of an open biopsy. According to the said professionals, the latter typically costs a lot more, is not proven to be any more or less accurate, and often leaves scars that can hinder a subsequent surgical procedure in the event that the woman does have cancer. Additionally, open biopsies can result in bruising and a higher chance of infection. A normal lymph node is usually less than a half of an inch in diameter. Lymph nodes with infections or malignant cells are often larger than this. If you do not have insurance, talk with the finance department to see if you can qualify for a cash paying discount. Discounts may also be available for those who meet minimum income requirements.